DESTEK V4: When buying a VR headset for the first time, many things come in mind. It’s really hard to decide whether you should choose a premium device or just go for a cheap one just for the trial purpose. It is very rare to find a feature-packed Virtual reality Headset at an affordable price. If you are new-comer in the virtual world, then you need to experience the best of all. Although, the first time buyer hesitate to invest hefty amount on the expensive headset which is full of features, without any doubt. 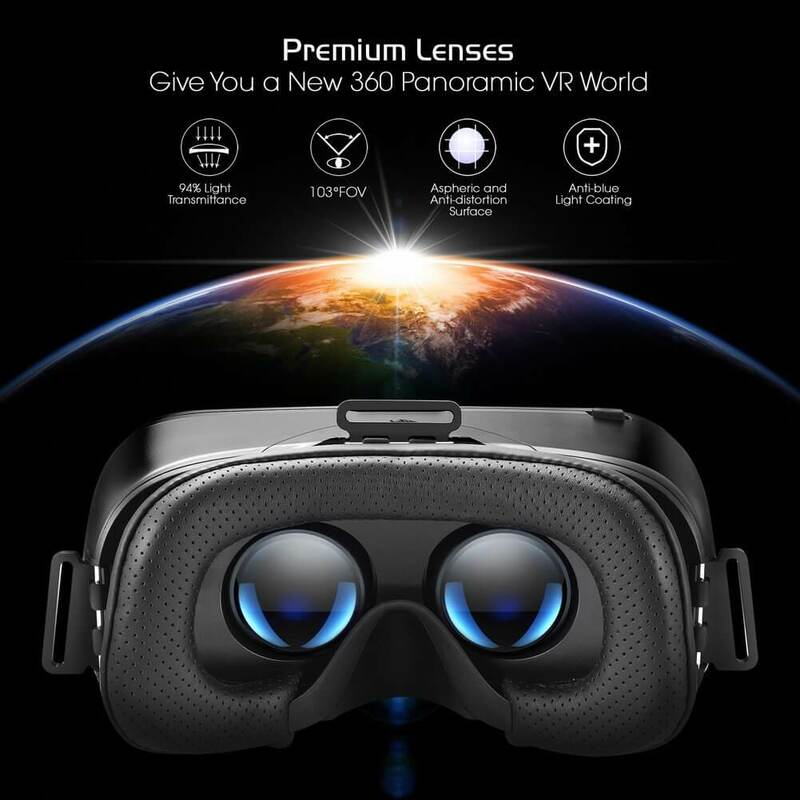 However, there are well-known companies like Destek who have produced a high-class VR headset with all relevant features. If you own an iPhone, then you must buy a VR headset, to enjoy your favorite 3D games, videos, and movies. Many tech companies like Apple and Microsoft are recommending AR upon VR, but with Destek’s headset, you can experience both. The Destek device is compatible with a wide range of platforms and is easy to use. So, in this article, we will discuss the full review of the most affordable V4 Virtual Reality Headset by DESTEK. If you have any queries relating to the reviews of products, feel free to contact Gadgetsay Forum. After reading this article, you will know that low budget gadgets can also come with exceptional features. Let’s begin the exploration of the VR world. While looking at the DESTEK V4, it’s hard to distinguish it from those expensive headsets available in the market. The built material and quality is quite impressive. Its lightweight design doesn’t let you feel that you are wearing a heavy device on your head. It is extremely comfortable and fits perfectly on your head. The compact device features adjustable head straps so, you can adjust the device from all three sides. From outside, it is developed with plastic material just like other devices and inside it, we notice a soft face padding which doesn’t let you feel uncomfortable after wearing for long. The device is installed with controls which helps to adjust the focal and pupil distance. The buttons are present at the bottom and top which is easy to operate. It doesn’t include any complicated functions so you don’t have to worry if you are new to VR. You can also eliminate a division of the magnetically appended front panel that makes way for AR experience. The DESTEK VR features Eye Protected Anti-blue Light HD Lenses that make your visual experience more fantastic. You will love watching HD quality videos as the distance between the lens and your eyes are just perfect. However, if you wear glasses, then you shouldn’t opt for this VR headset as you might feel annoying if watching for a long time. The device is not integrated with a special sound system so, the users have to completely depend on your smartphone’s audio system or earphones. Although, this will never trouble you anytime. You can place smartphones of any size from 4.5 and 6 inches or even bigger for a more pleasant experience. The device is free from any over-heating problem which is usually experienced in some cheap headsets. DESTEK has also left some extra space for the nose which avoids pressure on the eye. It allows 103-degree view which offers amazing VR experience while playing 3D games, and watching High Definition videos. The VR device comes with a decent Bluetooth Remote Controller which is highly recommended for Android phone users. The iOS users can use it as well, but the Remote Controller is just compatible with the Player Mode (Play/Pause, Previous/Next, Volume) and quite rare arcade games. DESTEK V4 is compatible with a wide range of devices and Operating system. It supports Android phones from many smartphone manufacturers like Samsung, Huawei, LG, HTC, Apple and many more. Here and some smartphones which are fully compatible with this amazing affordable device. For iPhone Users: XS Max XR X 8 7 plus/ 6s/ 6 /6 plus. For Samsung users: S9/ Plus S8/ Plus S7/ S7 Edge/ S6/ S6 Edge Note9/ 8/ 5 /4 /. So, this was the DESTEK V4 VR Headset Full Review With Pros And Cons. The DESTEK offers an amazing VR headset which you must try. It is a good combination of features and well as affordable price. The design of this devices makes it look like an expensive headset. 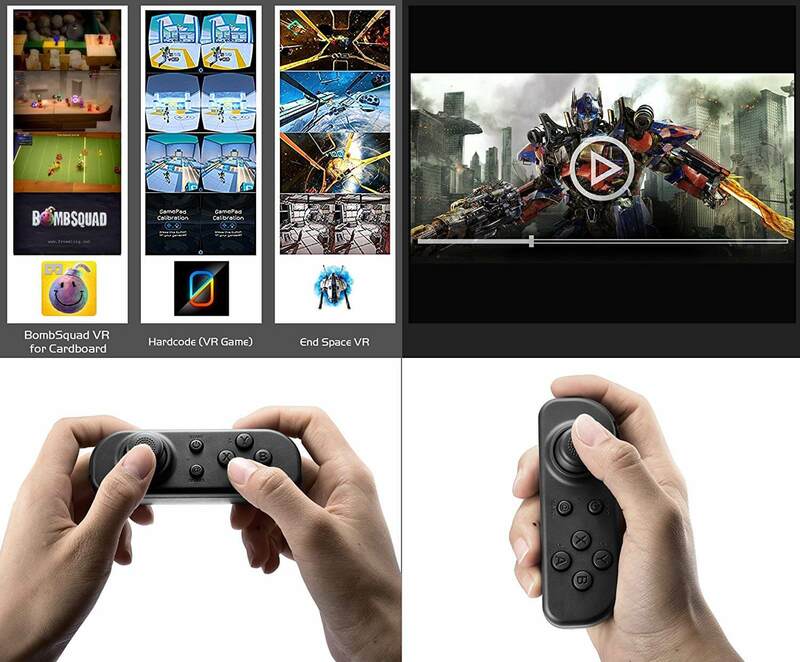 It is compatible with many VR gaming apps which you can easily download on your phone. 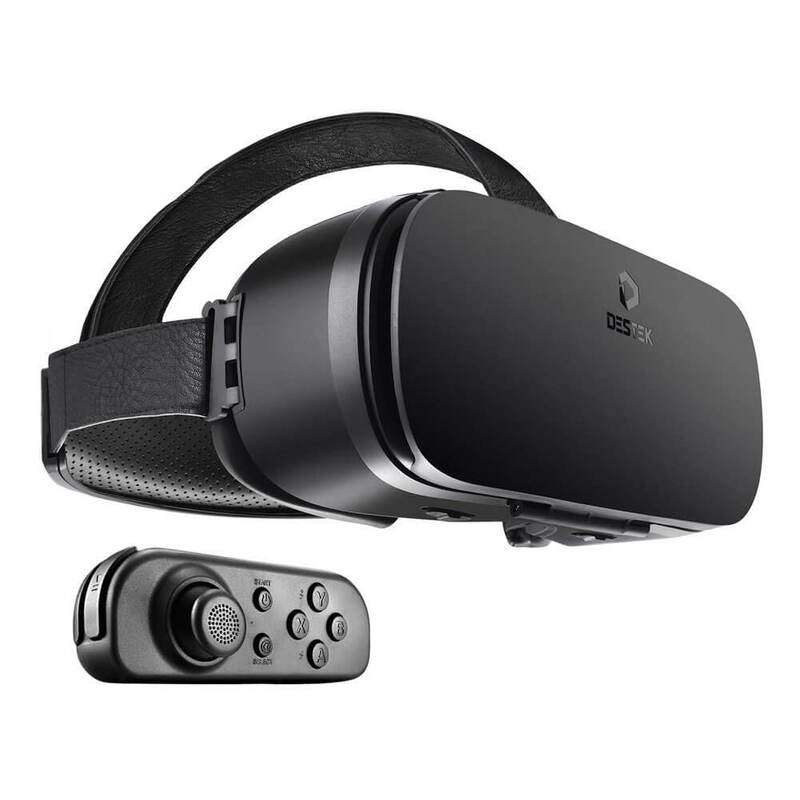 The device has good user rating and is in high-demand in budget VR headsets. You can buy this from Amazon, just click on the link given. 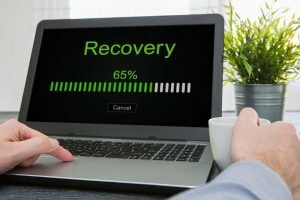 I hope you liked this article, and have a great experience with your purchase. You can also share this with your friends and families so that they can also enjoy the VR experience.